TOKYO — A Japanese exchange has lost $530 million in cryptocurrency because of hacking, according to Japanese media reports. 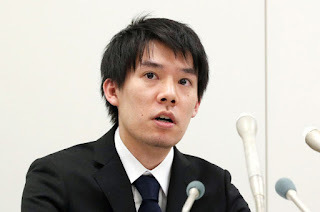 At a Friday night news conference, Coincheck President Koichiro Wada bowed and apologized. He said the company may seek financial assistance, according to Kyodo News service. Japanese TV footage showed a small group of customers standing outside the company’s Tokyo head office Friday night. Coincheck, which calls itself the leading Bitcoin and cryptocurrency exchange in Asia, said it detected the unauthorized access to its system about 3 a.m. Friday. The reported loss tops the $441.6 million that Mt. Gox, a Japan-based Bitcoin exchange, lost in 2014.